Theatre credits include: Wendy in Peter Pan, Ensemble first cover Tracy in Hairspray (UK Tour 2016/2017). Ensemble first cover Liesl in The Sound of Music (Leicester Curve) Sally in Blockbuster (UK Tour), Olivier Awards 2013(Theatre Royal Drury Lane), Kerry Ellis in Concert (London Palladium). Workshop credits include: Rosemary in Wildwood (directed by Robert Lindsay). 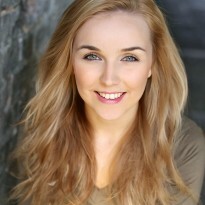 Theatre whilst training includes: Young Bonnie in Bonnie and Clyde; Dance Captain in Soho Cinders.